Anthony Badea got hooked on physics during his senior of high school in Irvine, California. He used to fall asleep watching interviews and speeches by public figures in science like astrophysicist Neil deGrasse Tyson and string theorist Michio Kaku. The questions they asked about the universe fascinated him. When he came to MIT, Badea found himself in awe of another scientist — the one who taught 8.03 (Waves and Vibrations). That was Yen-Jie Lee, the Class of 1958 Career Development Associate Professor of Physics and a researcher in the Laboratory for Nuclear Science. Badea, now majoring in both physics and mathematics and minoring in statistics, reached out to Lee inquiring about his research with CERN. When Lee explained his work, it was so advanced that Badea understood almost nothing — but he was thrilled to have the chance to learn. He’s been a part of the MIT Relativistic Heavy Ion Group ever since. One aim of Badea’s close-knit research group is to examine what happens after two particles are smashed together. The idea is that when researchers collide two heavy ions, the events that follow closely resemble what happened right after the Big Bang, potentially giving insight into the beginnings of the universe. Specifically, the lab is interested in a material that existed just moments after the Big Bang, called quark-gluon plasma — Badea describes it as melting a proton down into a soup. When researchers take two heavy nuclei and smash them together, they are confident that they are recreating that same kind of plasma. If they go a step smaller, colliding two protons instead of two nuclei, they observe an enhancement that looks like the presence of the plasma, but they’re not certain. Badea’s research takes it one step smaller — he looks at the tiniest known possible collision, between electrons and positrons, which are pieces of protons themselves. Most of the data for the lab’s research come from CERN’s Large Hadron Collider, where Badea worked for the last two summers. However, the LHC isn’t capable of colliding electrons and positrons. The only collider that did run electron-positron collisions closed several years ago. Badea and Lee knew that if they wanted to study those collisions, they needed the archived data from that retired collider. It took months, but Lee finally got access to it around December 2016. “When we actually got the data, it was a moment of, ‘Okay, we can do this. We can actually make this happen,’” he recalls. A copious amount of data-cleaning and a few million lines of code later, Badea and his labmates began to make sense of the data. The whole project took two years, the first of which was spent replicating and confirming the calculations of the original researchers. They also found something interesting: When they looked at the particles after their collision, they did not see a signal like the one produced by the big particle collisions. In other words, smashing together these tiniest of particles does not create the proton-soup plasma, meaning that there is a set of conditions that were necessary to produce the plasma after the Big Bang and are now necessary to produce it at CERN. The team is submitting a short paper reporting their findings to Physical Review Letters and a longer one detailing the new techniques created for this analysis to the Journal of High Energy Physics. Before Badea discovered physics, his entire life was devoted to soccer. He was 14 when he was chosen for the U.S. Soccer Developmental Academy, which can act as a feeder program for the U.S. national team. After a year and a half, he became a starter. In his senior year, he felt like he was really flourishing — but he had a pretty big choice to make. “This was kind of around the time where I was deciding, do I want to go to a Division I school with … lesser academics, or do I want to try for something else?” he says. 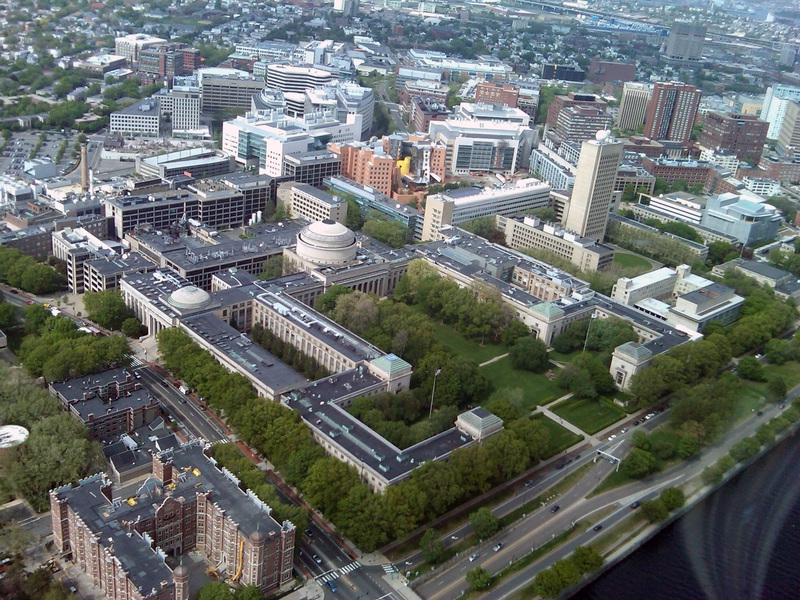 When Badea was offered a place in MIT’s class of 2019, he says, there was no question. 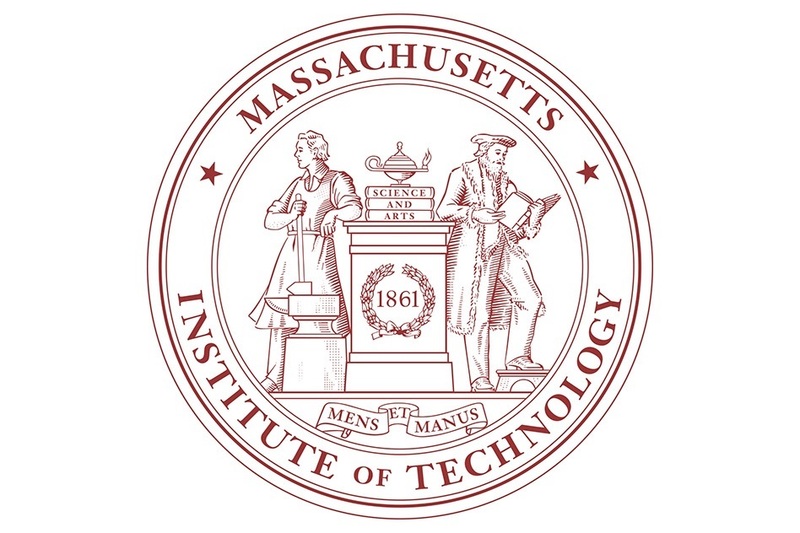 During his time on MIT’s Division III soccer team, he’s had some major injuries, including a torn ACL, a torn adductor, a torn hamstring, and a strained IT band, that put him on the sidelines for months at a time. But this year, spending less time on the field gave him a chance to serve in a mentorship role for younger players. “It was a big maturing moment for me, to be a leader without being the focal point of a team,” he says. And, as his final season at MIT came to a close in October, he was healthy enough to finish his collegiate career on the field. In his spare time, Badea has worked as a grader for the Department of Physics. He has developed his own method of giving feedback in which he focuses on errors in students’ thinking rather than their calculations. He has also gotten involved with peer tutoring and mentoring within his research group, and values the role he plays for younger students his lab. This year, he moved in to the house of his fraternity Phi Beta Epsilon, where he has “three really cool roommates.” Though he liked the quiet of his single room in Maseeh Hall, he enjoys living with people who have diverse interests. And he makes a point to exercise an hour and a half to two hours every day — he doesn’t think he’s missed a day since he’s been at MIT. Badea has just submitted his applications for PhD programs in physics. But he’s also taken up a humanities concentration in political science and is interested in how science can be used to support policymaking. For instance, the wildfires in his home state of California strike him as an issue that researchers in many disciplines could play a role in addressing. Nuclear physicists analyzing data from the PHENIX detector [see below] at the Relativistic Heavy Ion Collider (RHIC) [see below]—a U.S. Department of Energy (DOE) Office of Science user facility for nuclear physics research at Brookhaven National Laboratory—have published in the journal Nature Physics additional evidence that collisions of miniscule projectiles with gold nuclei create tiny specks of the perfect fluid that filled the early universe. “This work is the culmination of a series of experiments designed to engineer the shape of the quark-gluon plasma droplets,” said PHENIX collaborator Jamie Nagle of the University of Colorado, Boulder, who helped devise the experimental plan as well as the theoretical simulations the team would use to test their results. The “perfect” liquid is now a well-established phenomenon in collisions between two gold nuclei at RHIC, where the intense energy of hundreds of colliding protons and neutrons melts the boundaries of these individual particles and allows their constituent quarks and gluons to mingle and interact freely. Measurements at RHIC show that this soup of quarks and gluons flows like a liquid with extremely low viscosity (aka, near-perfection according to the theory of hydrodynamics). The lack of viscosity allows pressure gradients established early in the collision to persist and influence how particles emerging from the collision strike the detector. “If such low viscosity conditions and pressure gradients are created in collisions between small projectiles and gold nuclei, the pattern of particles picked up by the detector should retain some ‘memory’ of each projectile’s initial shape—spherical in the case of protons, elliptical for deuterons, and triangular for helium-3 nuclei,” said PHENIX spokesperson Yasuyuki Akiba, a physicist with the RIKEN laboratory in Japan and the RIKEN/Brookhaven Lab Research Center. “In all six cases, the measurements match the predictions based on the initial geometric shape. We are seeing very strong correlations between initial geometry and final flow patterns, and the best way to explain that is that quark-gluon plasma was created in these small collision systems. This is very compelling evidence,” Velkovska said. The PHENIX team compared their measured results with two theories based on hydrodynamics that accurately describe the quark-gluon plasma observed in RHIC’s gold-gold collisions, as well as those predicted by the quantum-mechanics-based theory. The PHENIX collaboration found that their data fit best with the quark-gluon plasma descriptions—and don’t match up, particularly for two of the six flow patterns, with the predictions based on the quantum-mechanical gluon interactions. The interplay with theory, including competitive explanations, will continue to play out. Berndt Mueller, Brookhaven Lab’s Associate Director for Nuclear and Particle Physics, has called on experimental physicists and theorists to gather to discuss the details at a special workshop to be held in early 2019. “This back-and-forth process of comparison between measurements, predictions, and explanations is an essential step on the path to new discoveries—as the RHIC program has demonstrated throughout its successful 18 years of operation,” he said. And now, physicists at the Department of Energy’s Lawrence Berkeley National Laboratory (Berkeley Lab) and their collaborators have demonstrated that computers are ready to tackle the universe’s greatest mysteries. The team fed thousands of images from simulated high-energy particle collisions to train computer networks to identify important features. The researchers programmed powerful arrays known as neural networks to serve as a sort of hivelike digital brain in analyzing and interpreting the images of the simulated particle debris left over from the collisions. During this test run the researchers found that the neural networks had up to a 95 percent success rate in recognizing important features in a sampling of about 18,000 images. The study was published Jan. 15 in the journal Nature Communications. The next step will be to apply the same machine learning process to actual experimental data. Powerful machine learning algorithms allow these networks to improve in their analysis as they process more images. The underlying technology is used in facial recognition and other types of image-based object recognition applications. The images used in this study – relevant to particle-collider nuclear physics experiments at Brookhaven National Laboratory’s Relativistic Heavy Ion Collider and CERN’s Large Hadron Collider – recreate the conditions of a subatomic particle “soup,” which is a superhot fluid state known as the quark-gluon plasma believed to exist just millionths of a second after the birth of the universe. Berkeley Lab physicists participate in experiments at both of these sites. 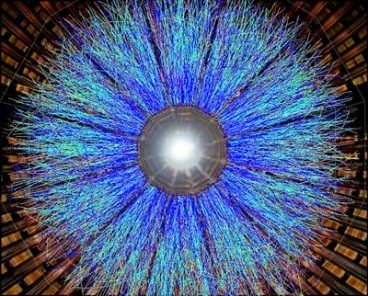 “We are trying to learn about the most important properties of the quark-gluon plasma,” said Xin-Nian Wang, a nuclear physicist in the Nuclear Science Division at Berkeley Lab who is a member of the team. Some of these properties are so short-lived and occur at such tiny scales that they remain shrouded in mystery. In experiments, nuclear physicists use particle colliders to smash together heavy nuclei, like gold or lead atoms that are stripped of electrons. These collisions are believed to liberate particles inside the atoms’ nuclei, forming a fleeting, subatomic-scale fireball that breaks down even protons and neutrons into a free-floating form of their typically bound-up building blocks: quarks and gluons. Researchers hope that by learning the precise conditions under which this quark-gluon plasma forms, such as how much energy is packed in, and its temperature and pressure as it transitions into a fluid state, they will gain new insights about its component particles of matter and their properties, and about the universe’s formative stages. But exacting measurements of these properties – the so-called “equation of state” involved as matter changes from one phase to another in these collisions – have proven challenging. The initial conditions in the experiments can influence the outcome, so it’s challenging to extract equation-of-state measurements that are independent of these conditions. Researchers also seek insight about the fundamental forces that govern the interactions between quarks and gluons, what physicists refer to as quantum chromodynamics. Long-Gang Pang, the lead author of the latest study and a Berkeley Lab-affiliated postdoctoral researcher at UC Berkeley, said that in 2016, while he was a postdoctoral fellow at the Frankfurt Institute for Advanced Studies, he became interested in the potential for artificial intelligence (AI) to help solve challenging science problems. He saw that one form of AI, known as a deep convolutional neural network – with architecture inspired by the image-handling processes in animal brains – appeared to be a good fit for analyzing science-related images. Wang added, “With this type of machine learning, we are trying to identify a certain pattern or correlation of patterns that is a unique signature of the equation of state.” So after training, the network can pinpoint on its own the portions of and correlations in an image, if any exist, that are most relevant to the problem scientists are trying to solve. Accumulation of data needed for the analysis can be very computationally intensive, Pang said, and in some cases it took about a full day of computing time to create just one image. When researchers employed an array of GPUs that work in parallel – GPUs are graphics processing units that were first created to enhance video game effects and have since exploded into a variety of uses – they cut that time down to about 20 minutes per image. They used computing resources at Berkeley Lab’s National Energy Research Scientific Computing Center (NERSC) in their study, with most of the computing work focused at GPU clusters at GSI in Germany and Central China Normal University in China. A benefit of using sophisticated neural networks, the researchers noted, is that they can identify features that weren’t even sought in the initial experiment, like finding a needle in a haystack when you weren’t even looking for it. And they can extract useful details even from fuzzy images. “Even if you have low resolution, you can still get some important information,” Pang said. Discussions are already underway to apply the machine learning tools to data from actual heavy-ion collision experiments, and the simulated results should be helpful in training neural networks to interpret the real data. “There will be many applications for this in high-energy particle physics,” Wang said, beyond particle-collider experiments. Also participating in the study were Kai Zhou, Nan Su, Hannah Petersen, and Horst Stocker from the following institutions: Frankfurt Institute for Advanced Studies, Goethe University, GSI Helmholtzzentrum für Schwerionenforschung (GSI), and Central China Normal University. The work was supported by the U.S Department of Energy’s Office of Science, the National Science Foundation, the Helmholtz Association, GSI, SAMSON AG, Goethe University, the National Natural Science Foundation of China, the Major State Basic Research Development Program in China, and the Helmholtz International Center for the Facility for Antiproton and Ion Research. NERSC is DOE Office of Science user facility. In a paper published today in Nature Physics , the ALICE collaboration reports that proton collisions sometimes present similar patterns to those observed in the collisions of heavy nuclei. This behaviour was spotted through observation of so-called strange hadrons in certain proton collisions in which a large number of particles are created. Strange hadrons are well-known particles with names such as Kaon, Lambda, Xi and Omega, all containing at least one so-called strange quark. The observed ‘enhanced production of strange particles’ is a familiar feature of quark-gluon plasma, a very hot and dense state of matter that existed just a few millionths of a second after the Big Bang, and is commonly created in collisions of heavy nuclei. But it is the first time ever that such a phenomenon is unambiguously observed in the rare proton collisions in which many particles are created. This result is likely to challenge existing theoretical models that do not predict an increase of strange particles in these events. Enhanced strangeness production had been suggested as a possible consequence of quark-gluon plasma formation since the early eighties, and discovered in collisions of nuclei in the nineties by experiments at CERN’s Super Proton Synchrotron. Another possible consequence of the quark gluon plasma formation is a spatial correlation of the final state particles, causing a distinct preferential alignment with the shape of a ridge. Following its detection in heavy-nuclei collisions, the ridge has also been seen in high-multiplicity proton collisions at the Large Hadron Collider, giving the first indication that proton collisions could present heavy-nuclei-like properties. Studying these processes more precisely will be key to better understand the microscopic mechanisms of the quark-gluon plasma and the collective behaviour of particles in small systems. First step on a path toward a detector with unprecedented capabilities for deciphering how the properties of the hottest matter in the universe emerge from the interactions of its fundamental particles. 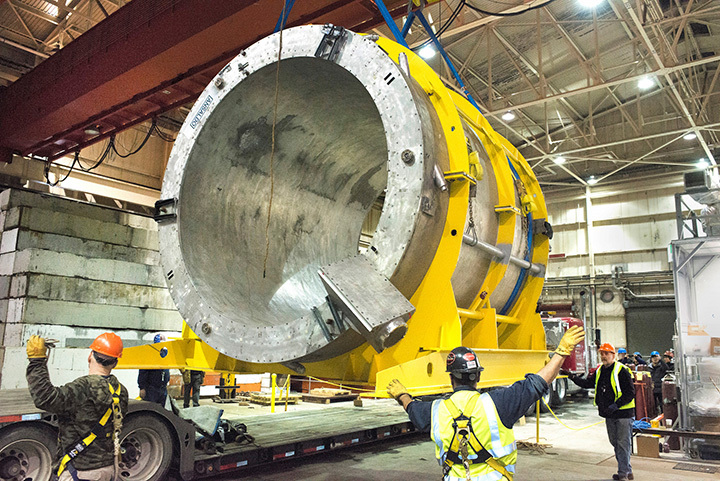 The solenoid magnet that will form the core of the sPHENIX detector. No image credit. 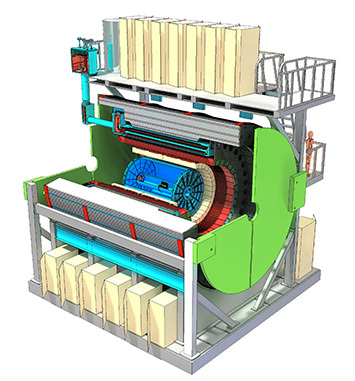 The U.S. Department of Energy (DOE) has granted “Critical Decision-Zero” (CD-0) status to the sPHENIX project, a transformation of one of the particle detectors at the Relativistic Heavy Ion Collider (RHIC)—a DOE Office of Science User Facility at Brookhaven National Laboratory—into a research tool with unprecedented precision for tracking subatomic interactions. RHIC a BNL, with map. This decision is an important first step in the DOE process for starting new projects, stating that there is a “mission need” for the capabilities described by the proposal. As Brookhaven Lab physicist Dave Morrison, a co-spokesperson for the sPHENIX collaboration, explained, “sPHENIX will be an essential tool for exploring the quark-gluon plasma, including its ability to flow like a nearly ‘perfect’ liquid. The capabilities we develop and scientific insight we gain will also help us to prepare for the coming research directions in nuclear physics,” he said. A schematic of the sPHENIX experiment at BNL. No image credit. The sPHENIX project is an upgrade of RHIC’s former PHENIX detector, which completed its data-taking mission in June 2016. With a superconducting solenoid magnet recycled from a physics experiment at DOE’s SLAC National Laboratory at its core, state-of-the-art particle-tracking detectors, and an array of novel high-acceptance calorimeters, sPHENIX will have the speed and precision needed to track and study the details of particle jets, heavy quarks, and rare, high-momentum particles produced in RHIC’s most energetic collisions. These capabilities will allow nuclear physicists to probe properties of the quark-gluon plasma at varying length scales to make connections between the interactions among individual quarks and gluons and the collective behavior of the liquid-like primordial plasma. Conceptual studies and R&D are already underway for key components, including the solenoid, calorimeters, and tracking detectors. The CD0 decision—the go-ahead that enables conceptual design and R&D to proceed—will enable these efforts and set sPHENIX on the path toward an exciting physics program starting in 2022. Research at RHIC and the sPHENIX project are supported primarily by the DOE Office of Science. Scientists seek to discover key point in transition from early universe soup of quarks and gluons to matter as we know it. The nuclear theorists behind the new analysis: Swagato Mukherjee, Raju Venugopalan, and Yi Yin. Thanks to a new development in nuclear physics theory, scientists exploring expanding fireballs that mimic the early universe have new signs to look for as they map out the transition from primordial plasma to matter as we know it. The theory work, described in a paper recently published as an Editor’s Suggestion in Physical Review Letters (PRL), identifies key patterns that would be proof of the existence of a so-called “critical point” in the transition among different phases of nuclear matter. Like the freezing and boiling points that delineate various phases of water—liquid, solid ice, and steam—the points nuclear physicists seek to identify will help them understand fundamental properties of the fabric of our universe. Nuclear physicists create the fireballs by colliding ordinary nuclei—made of protons and neutrons—in an “atom smasher” called the Relativistic Heavy Ion Collider (RHIC), a U.S. Department of Energy Office of Science User Facility at Brookhaven National Laboratory. The subatomic smashups generate temperatures measuring trillions of degrees, hot enough to “melt” the protons and neutrons and release their inner building blocks—quarks and gluons. The collider essentially turns back the clock to recreate the “quark-gluon plasma” (QGP) that existed just after the Big Bang. By tracking the particles that emerge from the fireballs, scientists can learn about nuclear phase transitions—both the melting and how the quarks and gluons “freeze out” as they did at the dawn of time to form the visible matter of today’s world. RHIC physicists believe that two different types of phase changes can transform the hot QGP into ordinary protons and neutrons. Importantly, they suspect that the type of change depends on the collision energy, which determines the temperatures generated and how many particles get caught up in the fireball. This is similar to the way water’s freezing and boiling points can change under different conditions of temperature and the density of water molecules, Venugopalan explained. In low energy RHIC collisions, scientists suspect that while the change in phase from QGP to ordinary protons/neutrons occurs, both distinct states (QGP and ordinary nuclear matter) coexist—just like bubbles of steam and liquid water coexist at the same temperature in a pot of boiling water. It’s as if the quarks and gluons (or liquid water molecules) have to stop at that temperature and pay a toll before they can gain the energy needed to escape as QGP (or steam). In contrast, in higher energy collisions, there is no toll gate at the transition temperature where quarks and gluons must “stop.” Instead they move on a continuous path between the two phases. But what happens between these low-energy and high-energy realms? Figuring that out is now one of the major goals of what’s known as the “beam energy scan” at RHIC. By systematically colliding nuclei at a wide range of energies, physicists in RHIC’s STAR collaboration are searching for evidence of a special point on their map of these nuclear phases and the transitions between them—the nuclear phase diagram. At this so-called “critical point,” there would be a toll stop, but the cost would be $0, so the quarks and gluons could transition from protons and neutrons to QGP very quickly—almost as if all the water in the pot turned to steam in a single instant. This can actually happen when water reaches its boiling point under high pressure, where the distinction between the liquid and the compressed gas phases blurs to the point of the two being virtually indistinguishable. In the case of QGP, the physicists would expect to see signs of this dramatic effect—patterns in the fluctuations of particles observed striking their detectors—the closer and closer they get to this critical point. In experiments already conducted at the intermediate energies, STAR physicists have observed such patterns, which may be signs of the hypothesized critical point. This search will continue with increased precision over a wider range of energies during a second beam energy scan, beginning in 2019. The new theoretical work of Brookhaven physicist Swagato Mukherjee, Venugopalan, and former postdoc Yi Yin (now at MIT)—part of a newly funded Beam Energy Scan Theory (BEST) Topical Collaboration in Nuclear Theory—will provide a roadmap to guide the experimental researchers. 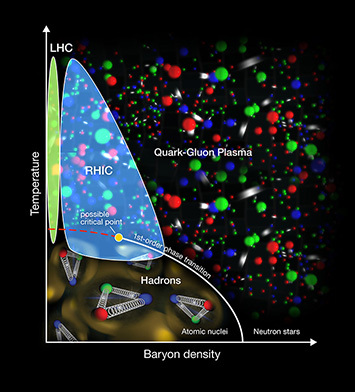 The STAR collaboration’s exploration of the “nuclear phase diagram” shows signs of a sharp border—a first-order phase transition—between the hadrons that make up ordinary atomic nuclei and the quark-gluon plasma (QGP) of the early universe when the QGP is produced at relatively low energies/temperatures. The data may also suggest a possible critical point, where the type of transition changes from the abrupt, first-order kind to a continuous crossover at higher energies. Certain characteristics of the patterns that occur during phase changes are universal—no matter whether you are studying water, or quarks and gluons, or magnets. But one key advance of the new theory work was using a different set of universal characteristics to account for the dynamic conditions of the expanding quark-gluon plasma. To account for the evolving conditions of the QGP in their calculations, the theorists incorporated “dynamic universalities” that were first developed to describe similar pattern formation in the cosmological expansion of the universe itself. Specifically, the paper predicts exactly what patterns to look for in the data—patterns in how the properties of particles emitted from the collisions are correlated—as the energy of the collisions changes. “If the STAR collaboration looks at the data in a particular way and sees these patterns, they can claim without any ambiguity that they have seen a critical point,” Venugopalan said. The Beam Energy Scan Theory Collaboration and research at RHIC are supported by the DOE Office of Science. At the dawn of the universe – just after the Big Bang – all matter was in the form of a hot-flowing soup called quark-gluon plasma, or QGP. Though a few ambitious, atom-smashing experiments have produced transient samples of this extreme phase of matter, researchers still have much to learn about its fundamental behavior. Experimental physicists have tried to produce quark-gluon plasma since the 1980s and first reported observing it in 2000. Over the past 45 years, theorists have outlined the equations that govern QGP and many have combined theory and experiment to describe it. Large-scale computations have been critical to the theoretical study of QGP’s novel characteristics. As part of a theoretical effort funded by the Department of Energy, Brookhaven National Laboratory’s Swagato Mukherjee and his colleagues are using an allotment of 167 million processor hours from the ASCR Leadership Computing Challenge (ALCC) to better understand QGP. Their findings will help physicists plan the next wave of experiments. “Neither theory nor experiment can do this alone,” Mukherjee says. At the heart of every atom lies the nucleus, a super-tight ball of subatomic protons and neutrons. Those particles are made of even smaller parts, including quarks, which comprise just one thousandth of the mass. Gluons, the adhesive particles that hold quarks together, carry the strong interaction, a fundamental physical force that binds the atomic nucleus and generates the other 99.9 percent of all matter’s mass. But at temperature extremes 70,000 times hotter than the center of the sun, even tightly packed quarks and gluons begin to flow. The transition to the flowing state is much like phase changes in matter such as water. Water exists as liquid, steam or ice, based on how much heat and pressure are applied. Scientists long ago carefully mapped the underlying conditions and boundaries between water’s different forms as a phase diagram, information that’s been critical for understanding water’s behavior. If researchers can understand how changes in temperature and density affect QGP, physicists can create a similar roadmap documenting conditions that form it. Because of the extreme conditions required for QGP creation, the only way to observe it on Earth is to bombard matter with high-energy particles at either the Relativistic Heavy Ion Collider (RHIC) at Brookhaven or the Large Hadron Collider at CERN in Switzerland. 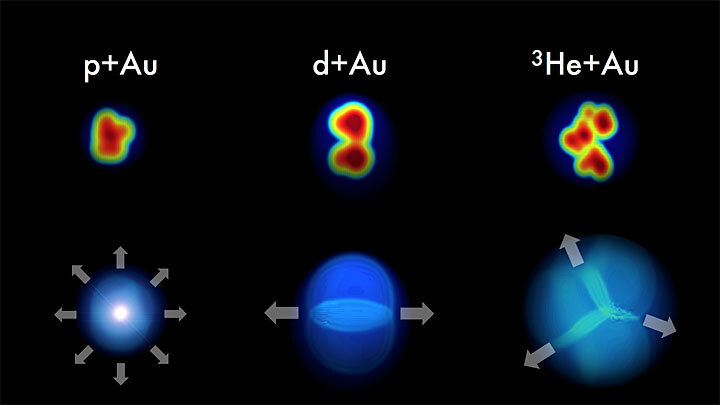 Fast-moving nuclei of lead and gold collide at high energy, briefly producing the plasma-soup researchers can study. Experiments aren’t the only way to study QGP’s properties. Physicists have worked out the theory of how quarks and gluons interact, known as quantum chromodynamics, or QCD. However, the complexity of these interactions, with billions of variables, requires sophisticated parallel computing resources to solve, Mukherjee says. Using their ALCC allotment, Mukherjee and his colleagues have concentrated on a version of this theory, lattice QCD, to computationally study the plasma on Titan, a Cray XK7 at Oak Ridge National Laboratory. The calculations line up quarks at the intersection points on a grid, with gluons positioned on each of the crossbars between them. Initially, the researchers omitted the density component and solely calculated how increasing heat eventually produces the flowing QGP. Now they’ll need to consider the density component as well. With their ongoing ALCC allotment, they’re simulating how increasing density changes the phase diagram and eventually the plasma’s behavior. These types of computations will be critical for future experiments at the big colliders. In 2019 and 2020, DOE will support a large collaborative effort, the Beam Energy Scan II at RHIC, to observe the full phase diagram of quark-gluon plasma, including the density component, Mukherjee says, an effort that will cost hundreds of millions of dollars. The calculations Mukherjee and his colleagues perform will provide information that helps the experimental physicists plan those experiments. The calculations will provide temperature benchmarks – a range needed to generate QGP. In large particle accelerators, researchers can’t control the temperature or density, only the energy of the atomic collisions, Mukherjee says. So calculations will help researchers translate that collision energy into the heat and density parameters they need to observe the full range of changes in the phase diagram of quark-gluon plasma. Ultimately, the exercise is about fundamental discovery and collaboration between theorists and experimentalists to discover the quark-gluon soup recipe. Mukherjee is part of a larger Brookhaven theoretical team, the Nuclear Physics Lattice Gauge Theory group led by Fritjof Karsch. This work is an integral part of the BEST collaboration – for Beam Energy Scan Theory – a DOE-funded, multi-institutional Topical Collaboration in Nuclear Theory, looking at the phases and properties of hot-dense QCD matter. Mukherjee’s research is supported by DOE Office of Science’s Nuclear Physics program. “It is remarkable that we are able to carry out such detailed measurements on a drop of ‘early universe’, that only has a radius of about one millionth of a billionth of a meter. The results are fully consistent with the physical laws of hydrodynamics, i.e. the theory of flowing liquids and it shows that the quark-gluon plasma behaves like a fluid. It is however a very special liquid, as it does not consist of molecules like water, but of the fundamental particles quarks and gluons,” explained Jens Jørgen Gaardhøje, professor and head of the ALICE group at the Niels Bohr Institute at the University of Copenhagen. A few billionths of a second after the Big Bang, the universe was made up of a kind of extremely hot and dense primordial soup of the most fundamental particles, especially quarks and gluons. This state is called quark-gluon plasma. By colliding lead nuclei at a record-high energy of 5.02 TeV in the world’s most powerful particle accelerator, the 27 km long Large Hadron Collider, LHC at CERN in Geneva, it has been possible to recreate this state in the ALICE experiment’s detector and measure its properties. CERN researchers recreated the universe’s primordial soup in miniature format by colliding lead atoms with extremely high energy in the 27 km long particle accelerator, the LHC in Geneva. The primordial soup is a so-called quark-gluon plasma and researchers from the Niels Bohr Institute, among others, have measured its liquid properties with great accuracy at the LHC’s top energy. The results were submitted to Physical Review Letters, which is the top scientific journal for nuclear and particle physics. “The analyses of the collisions make it possible, for the first time, to measure the precise characteristics of a quark-gluon plasma at the highest energy ever and to determine how it flows,” explains You Zhou, who is a postdoc in the ALICE research group at the Niels Bohr Institute. You Zhou, together with a small, fast-working team of international collaboration partners, led the analysis of the new data and measured how the quark-gluon plasma flows and fluctuates after it is formed by the collisions between lead ions. The focus has been on the quark-gluon plasma’s collective properties, which show that this state of matter behaves more like a liquid than a gas, even at the very highest energy densities. The new measurements, which uses new methods to study the correlation between many particles, make it possible to determine the viscosity of this exotic fluid with great precision. You Zhou explains that the experimental method is very advanced and is based on the fact that when two spherical atomic nuclei are shot at each other and hit each other a bit off center, a quark-gluon plasma is formed with a slightly elongated shape somewhat like an American football. This means that the pressure difference between the centre of this extremely hot ‘droplet’ and the surface varies along the different axes. The pressure differential drives the expansion and flow and consequently one can measure a characteristic variation in the number of particles produced in the collisions as a function of the angle. Jens Jørgen Gaardhøje adds that they are now in the process of mapping this state with ever increasing precision — and even further back in time. Researchers have recreated the universe’s primordial soup in miniature format by colliding lead atoms with extremely high energy in the 27 km long particle accelerator, the LHC at CERN in Geneva. The primordial soup is a so-called quark-gluon plasma and researchers from the Niels Bohr Institute, among others, have measured its liquid properties with great accuracy at the LHC’s top energy. The results have been submitted to Physical Review Letters. “The analyses of the collisions make it possible, for the first time, to measure the precise characteristics of a quark-gluon plasma at the highest energy ever and to determine how it flows,” explains You Zhou, who is a postdoc in the ALICE research group at the Niels Bohr Institute. You Zhou, together with a small, fast-working team of international collaboration partners, led the analysis of the new data and measured how the quark-gluon plasma flows and fluctuates after it is formed by the collisions between lead ions. “It is remarkable that we are able to carry out such detailed measurements on a drop of ‘early universe’, that only has a radius of about one millionth of a billionth of a meter. The results are fully consistent with the physical laws of hydrodynamics, i.e. the theory of flowing liquids and it shows that the quark-gluon plasma behaves like a fluid. It is however a very special liquid, as it does not consist of molecules like water, but of the fundamental particles quarks and gluons,” explains Jens Jørgen Gaardhøje, professor and head of the ALICE group at the Niels Bohr Institute at the University of Copenhagen. Jens Jørgen Gaardhøje adds that they are now in the process of mapping this state with ever increasing precision—and even further back in time.